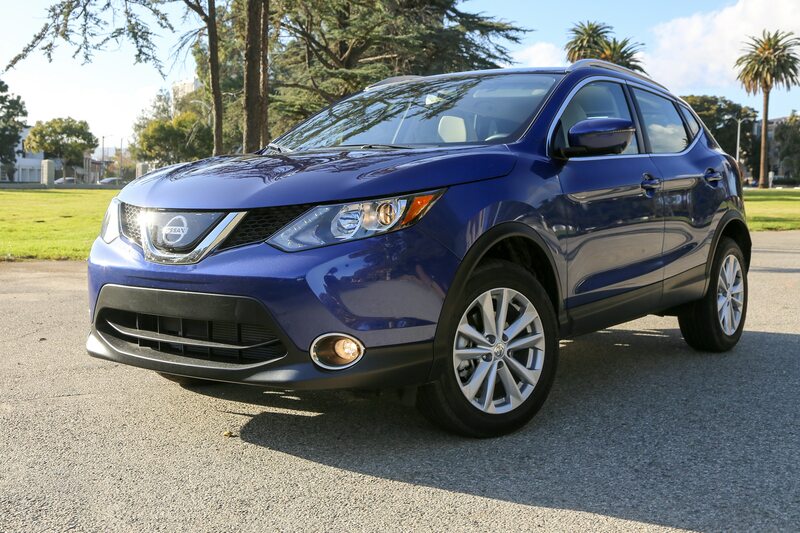 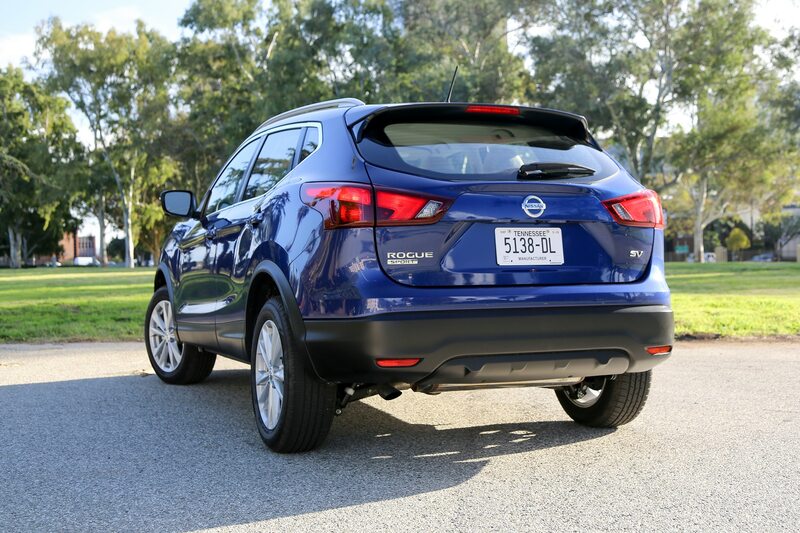 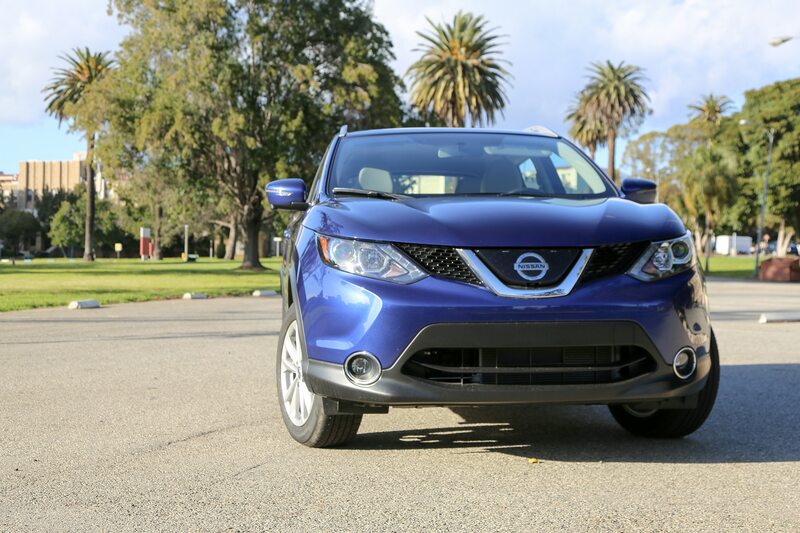 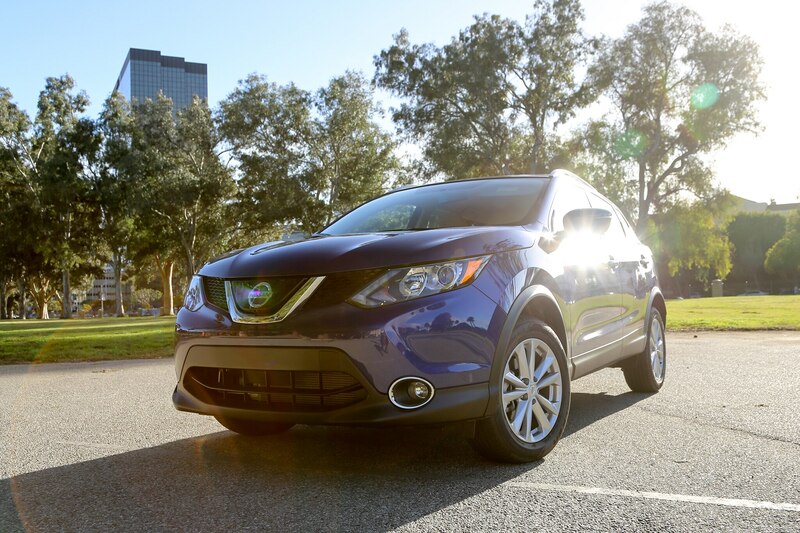 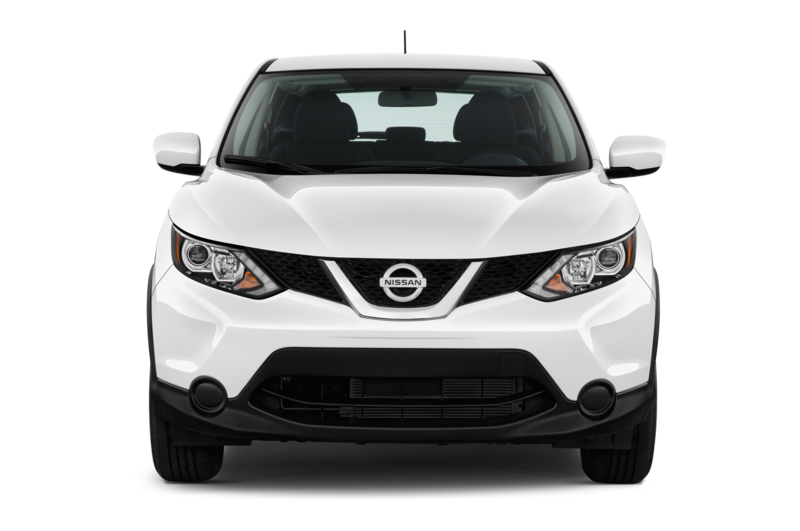 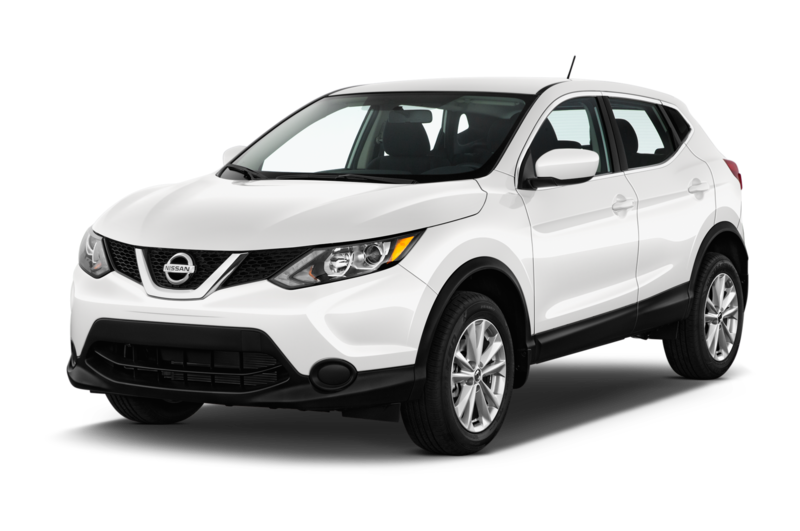 The 2018.5 Nissan Rogue Sport SV—the .5 denotes a mid-year upgrade with more safety features; the 2019 model is basically the same—is a tweener that slots between the Kicks and the regular Rogue in Nissan’s lineup. 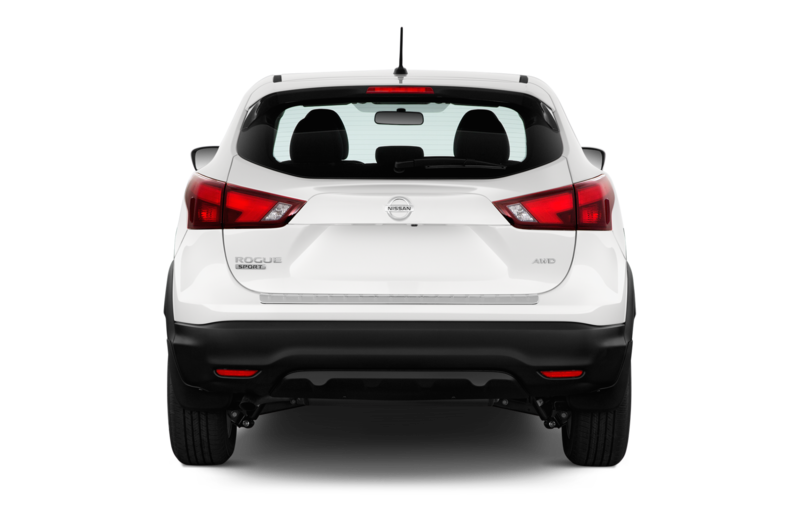 As such, it doesn’t really have a direct competitor, instead looking to capture people who might think the subcompacts below are too tight and the compacts above are too large or expensive. 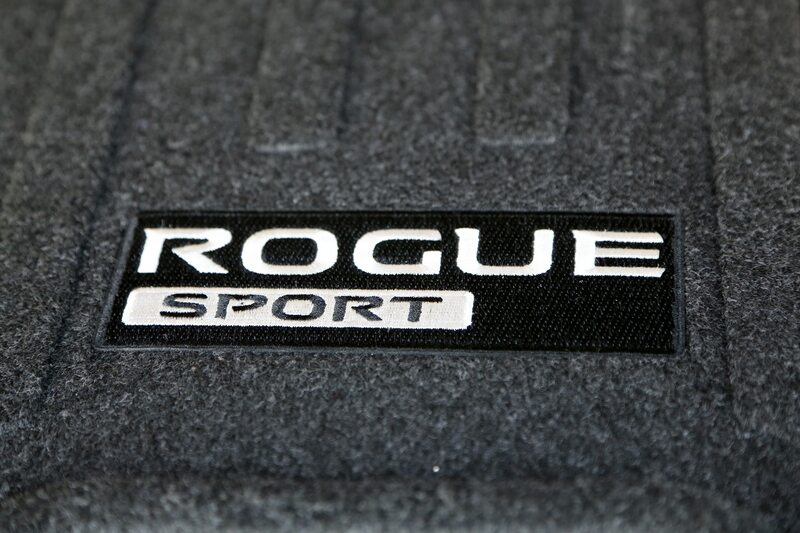 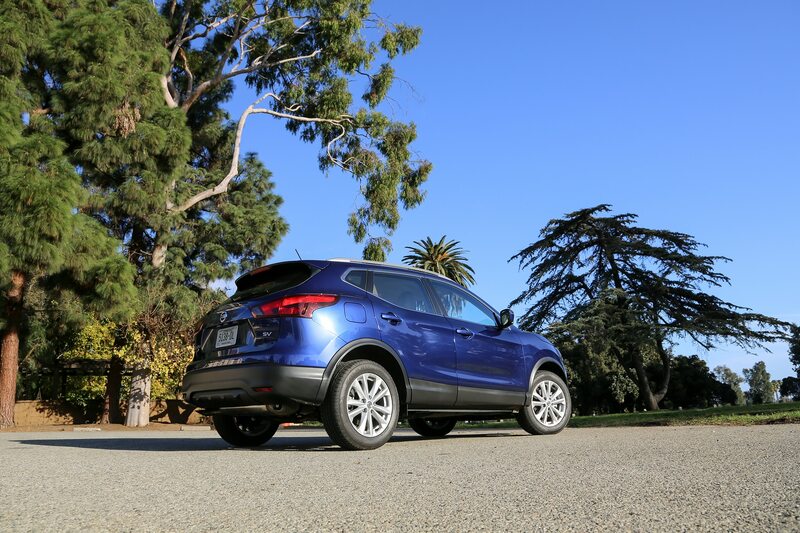 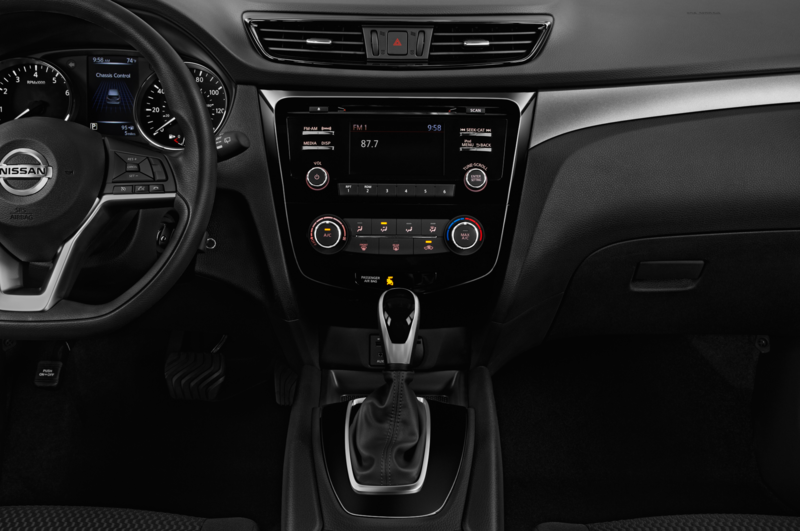 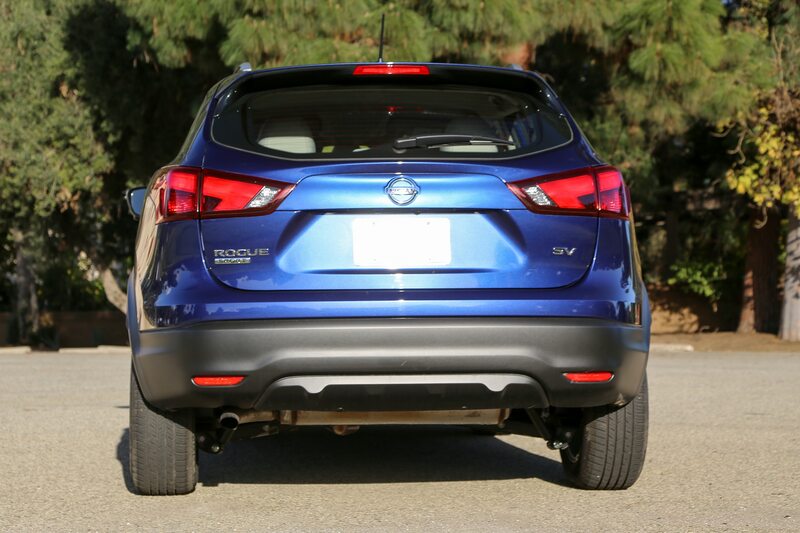 The Rogue Sport SV uses a 2.0-liter inline four producing 141 horsepower and 147 lb-ft of torque, mated to a CVT. 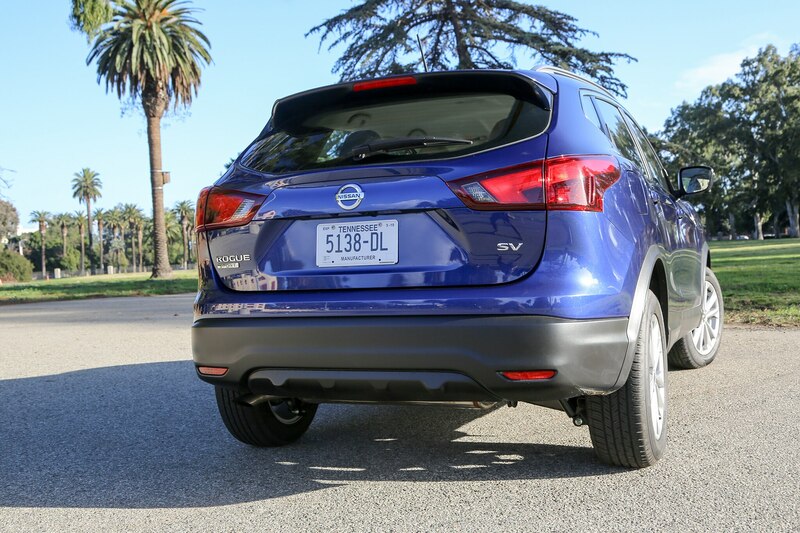 All-wheel drive is available, but our Caspian Blue Metallic SV model was a front-driver. 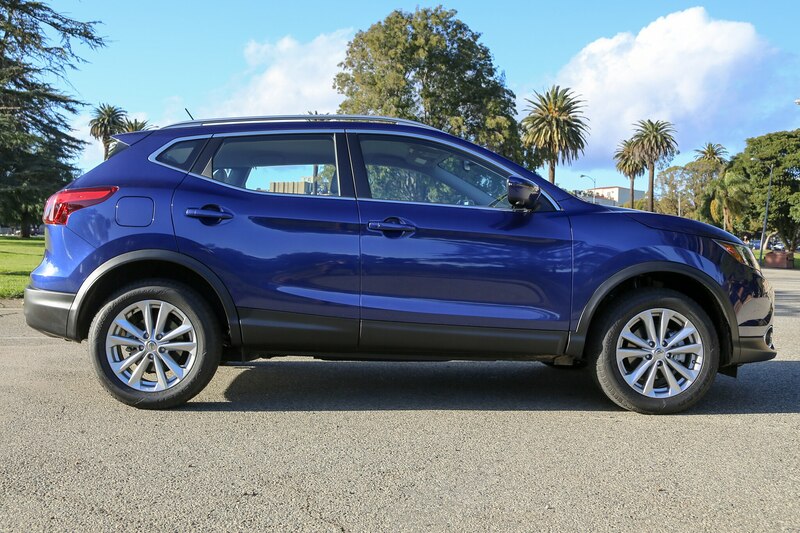 Given the relative dearth of power—and the droning caused by the CVT when you tap into what’s there, even with its faux shift points—the Rogue Sport is most at ease and most livable when navigating urban traffic or cruising on the highway where you don’t expect to execute many passes. 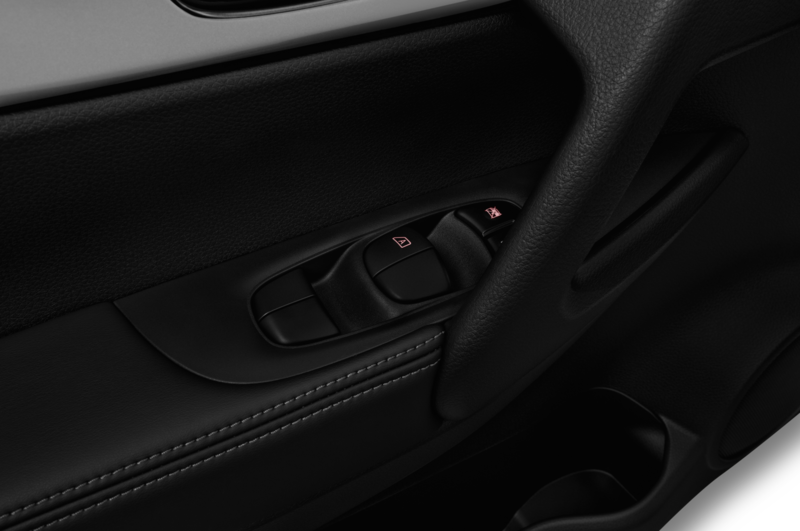 There’s a manual option that improves the experience by allowing you to select from the simulated fixed ratios, and I found myself using this often to avoid waiting for the computer to decide where I needed to be in the powerband. 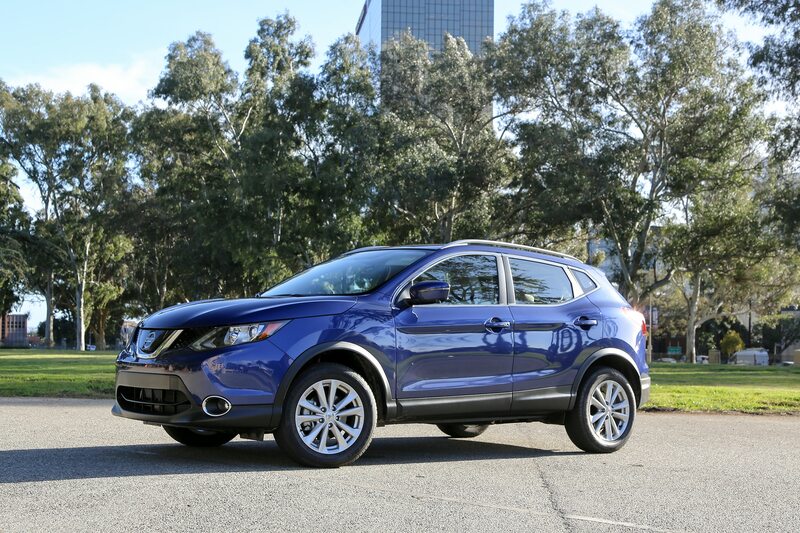 Where the powertrain falters, the handling and chassis control prove redeeming. 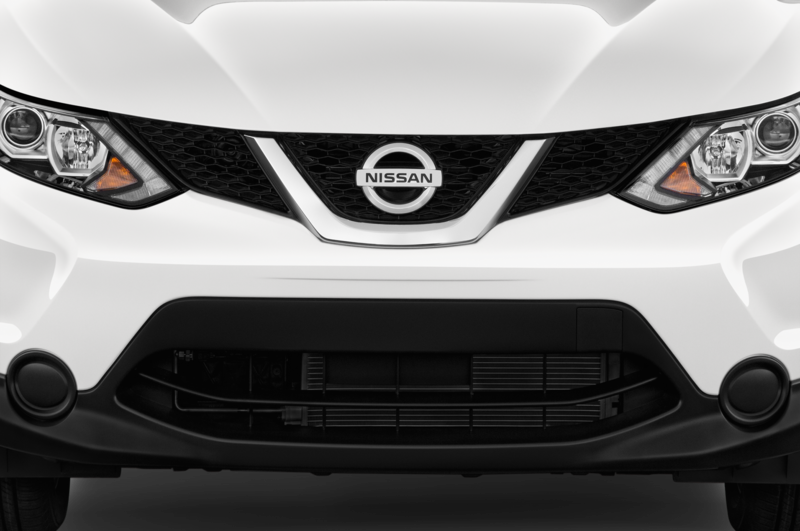 Driven relatively hard, there’s little body roll and the light steering makes it simple to place it where you want it, even if I did want a faster ratio. 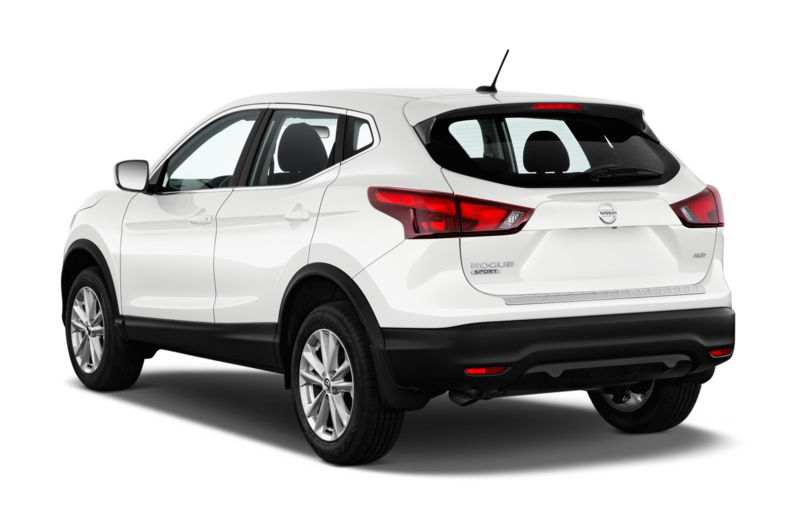 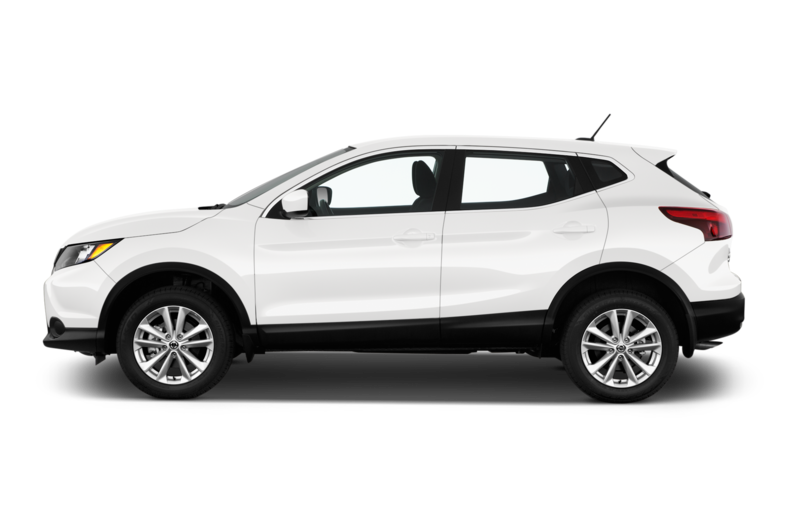 The Rogue Sport also offers a surprisingly cushy ride given its size, and its wheel control is exemplary for something in this price class. 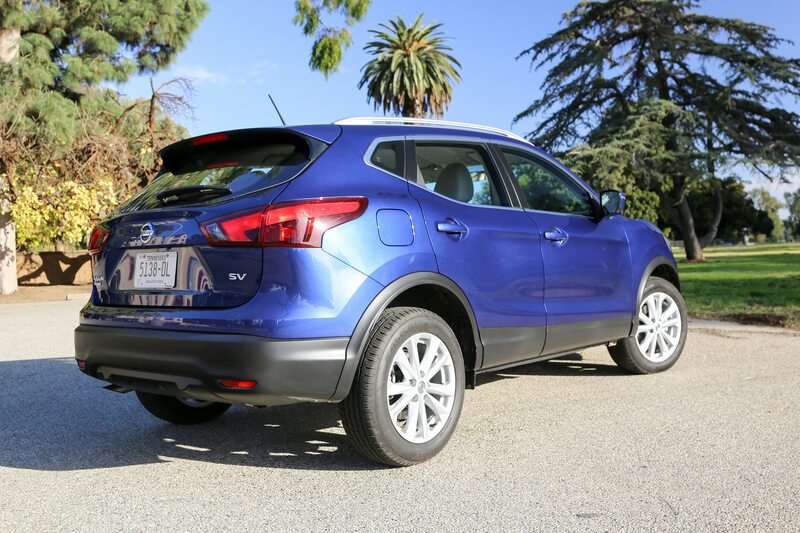 It admirably soaks up road imperfections, and isn’t overly reluctant to turn into corners. 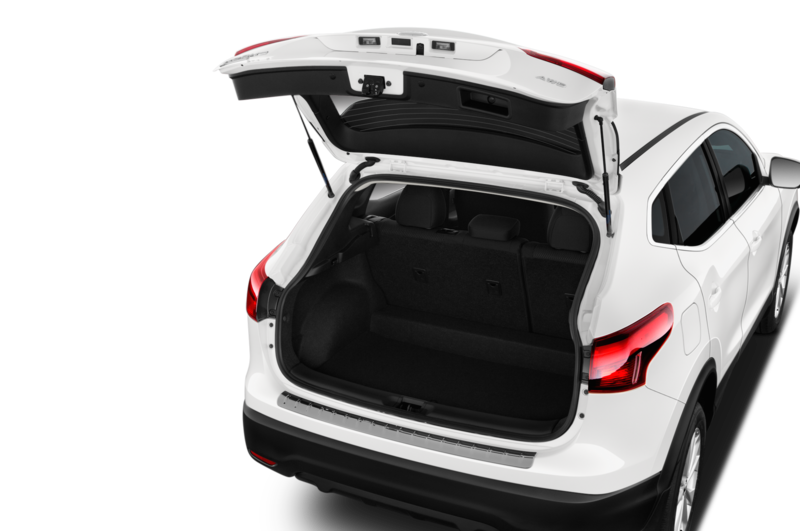 It’s also packaged well, with room in the back seat for three adults. 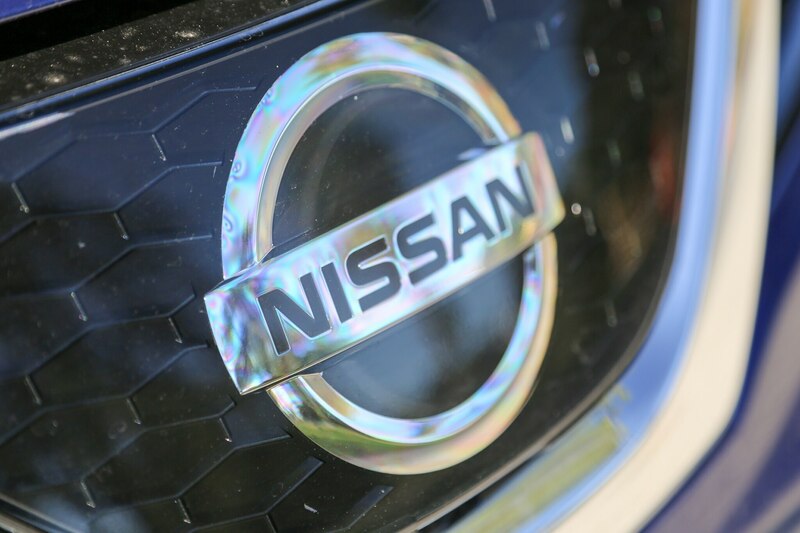 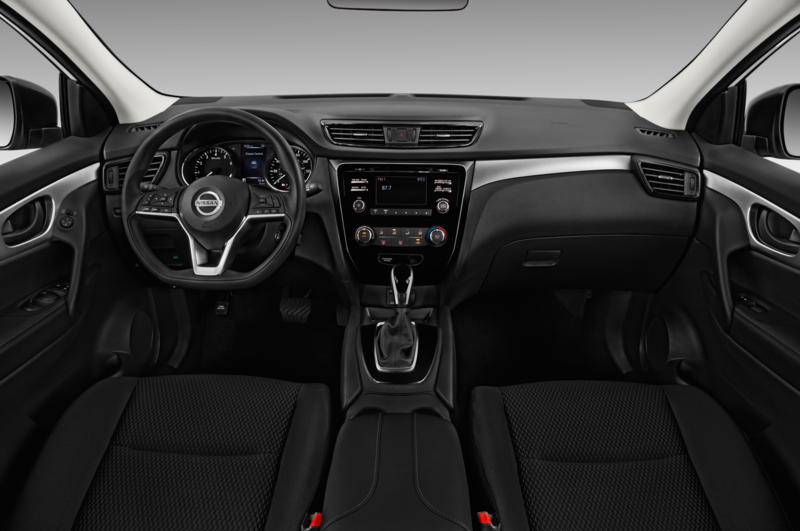 The interior is among the more premium ones in Nissan’s current lineup, and was further improved by the Technology package, which bundles in oodles of goodies for $2,420. 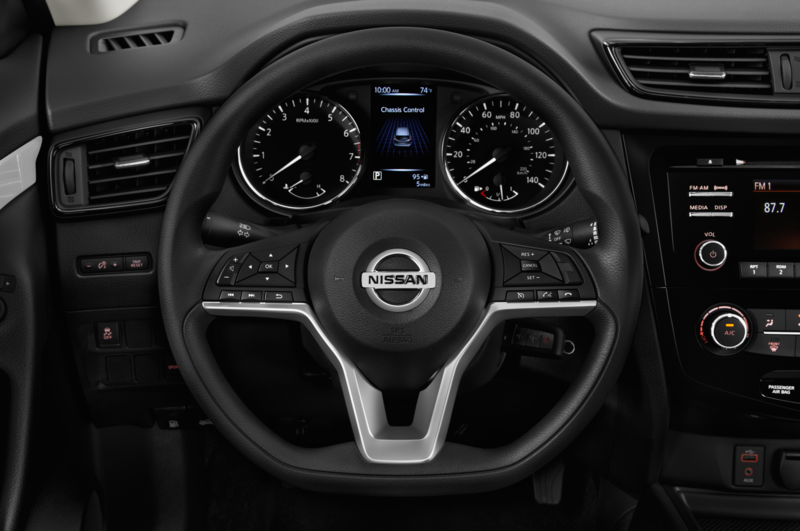 That outlay brings heated front seats, a heated leather-wrapped steering wheel, heated side mirrors, a leather-wrapped shift knob, proximity entry and start, and remote start. 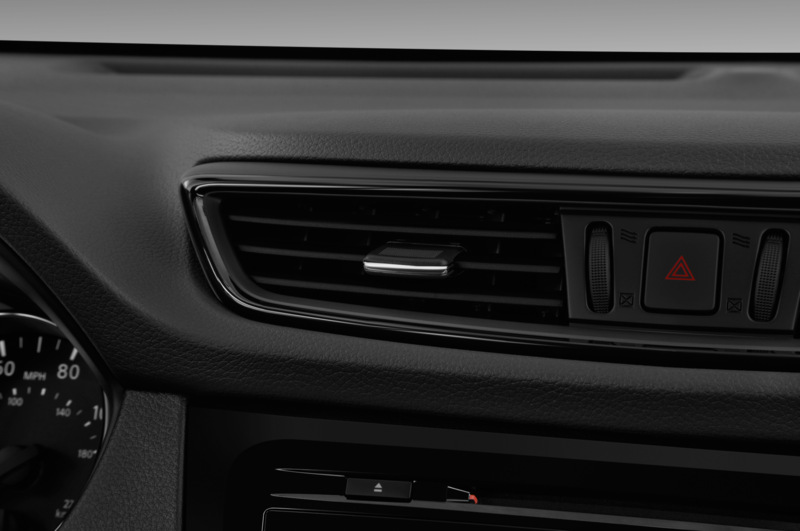 That’s just for starters. 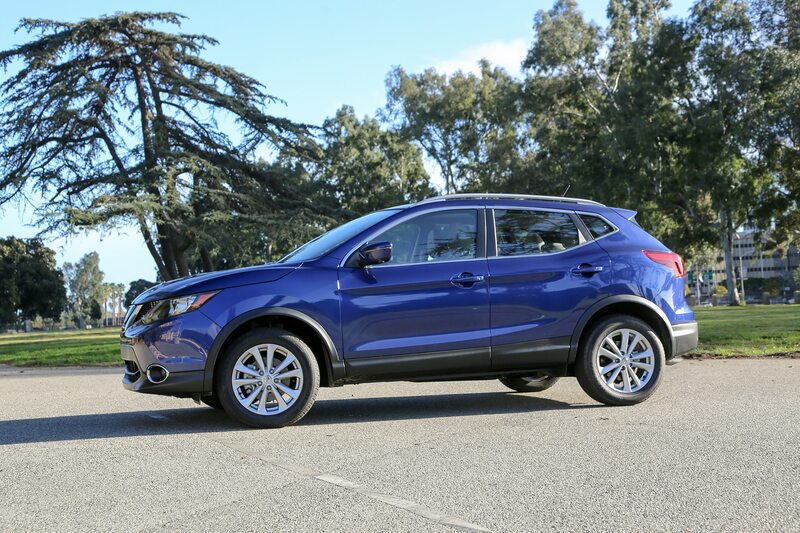 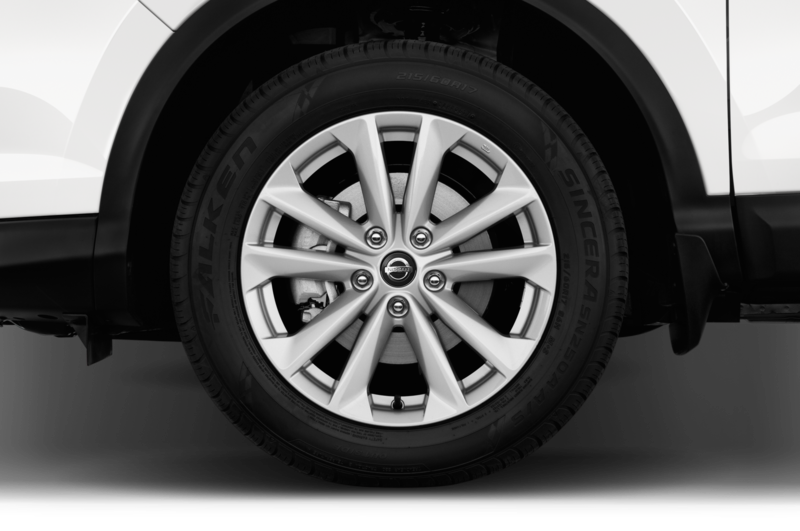 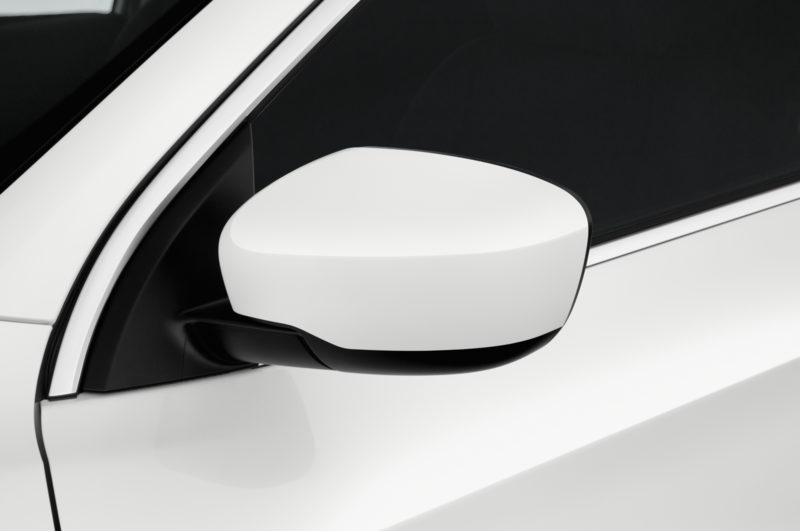 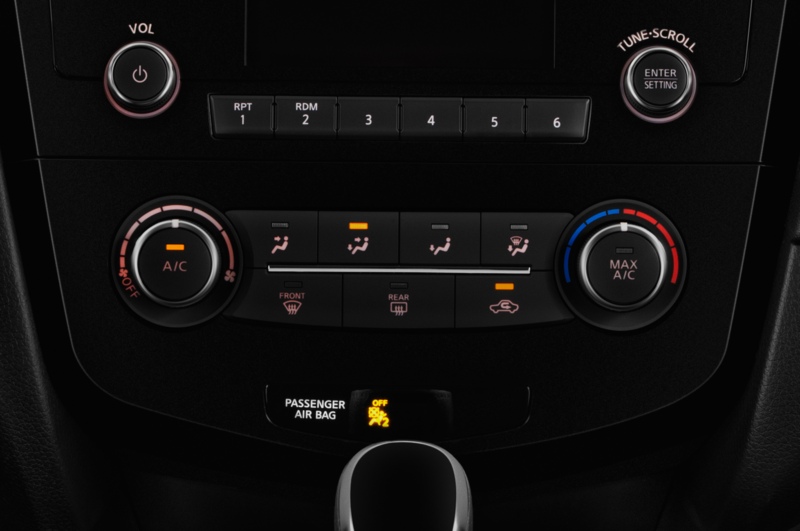 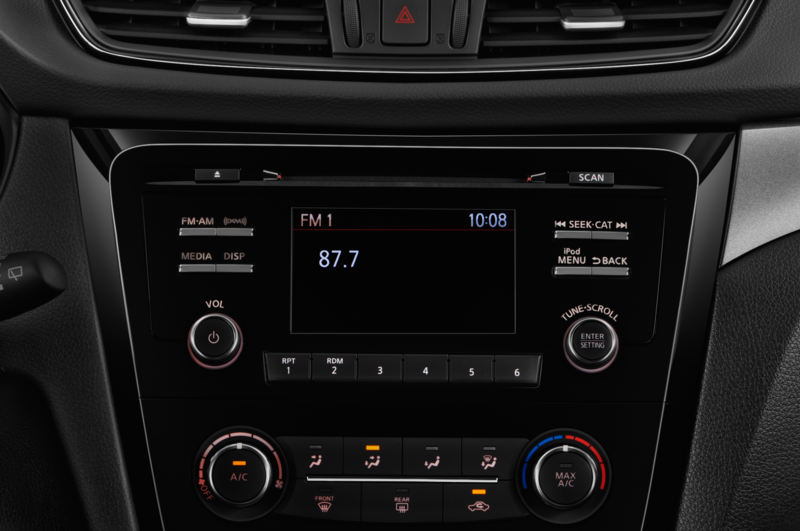 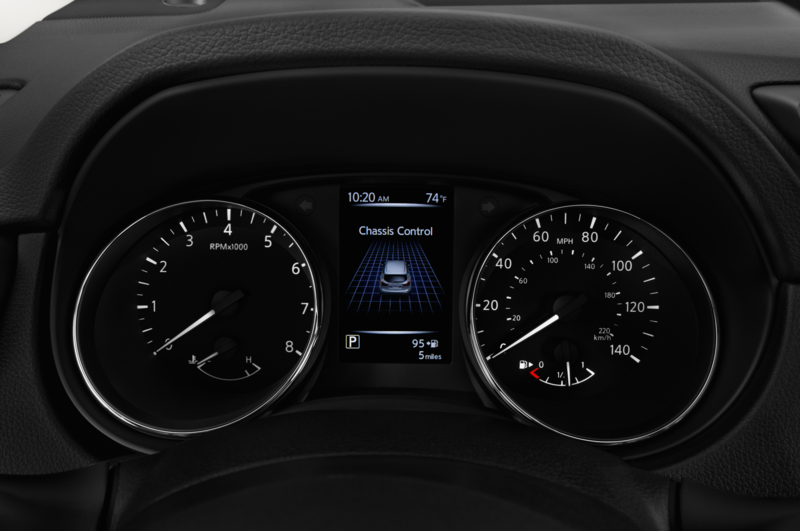 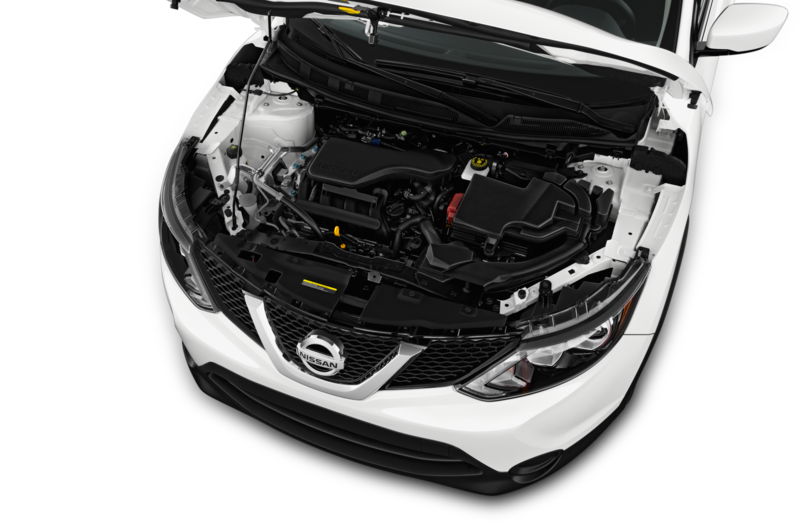 On 2019 models, the Technology bundle also loads up the Rogue Sport with fog lights, navigation with voice recognition, NissanConnect services, cameras to enable a 360-degree view for parking, radar cruise control, and the ProPilot Assist function that will follow curves and handle stop-and-go traffic for you. 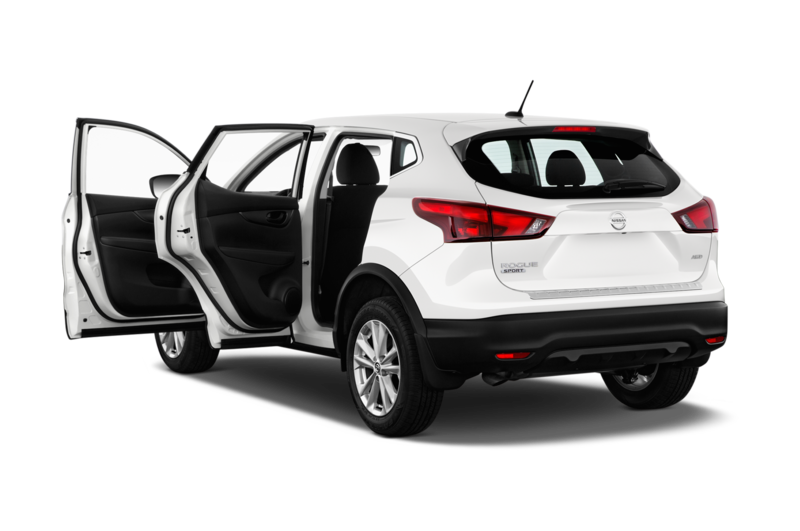 As the only significant option (our tester also was fitted with a carpeted cargo area protector, floor mats, and a first aid kit for $275), the added tech, comfort, and convenience was welcome—and a good value, to boot. 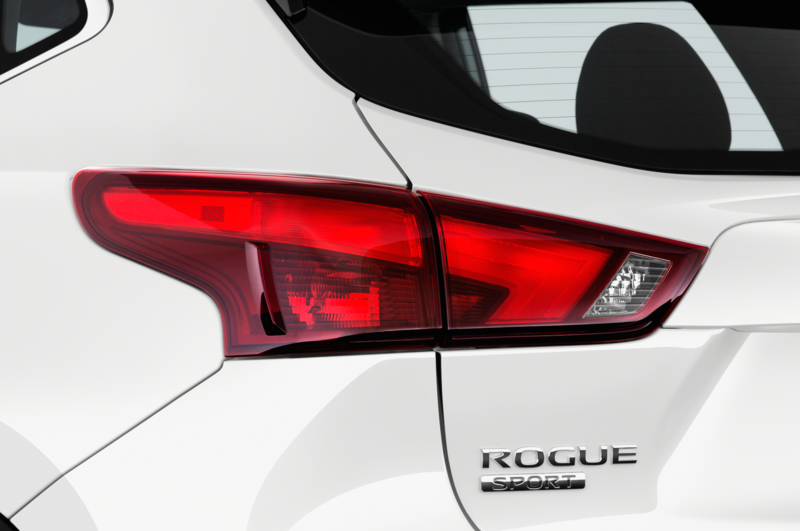 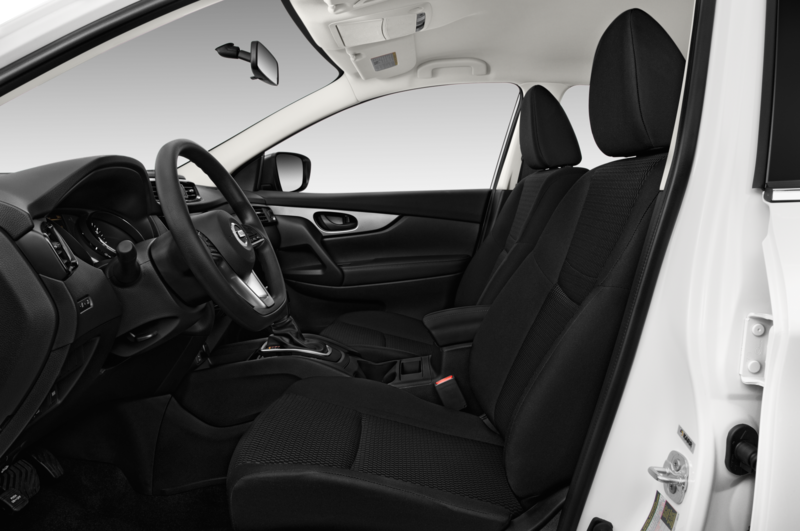 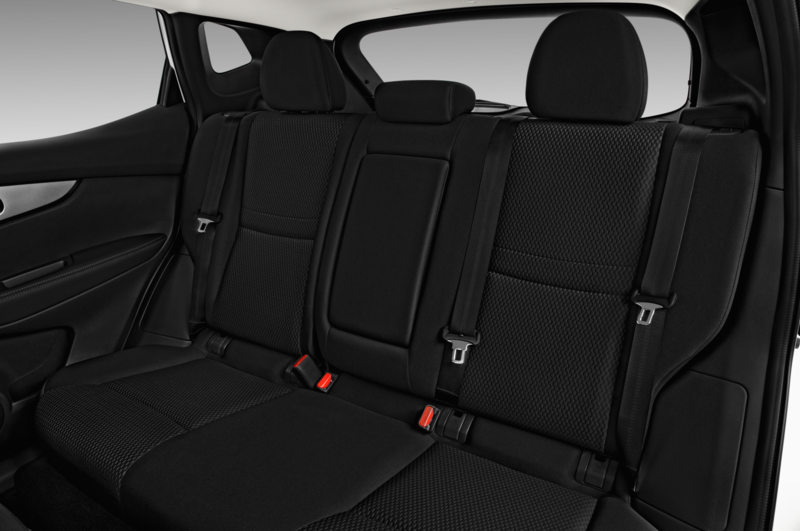 My only gripe with the packaging is that there’s no handle on the inside of the hatch to make it easier to close, but the Rogue Sport does offer decent cargo room—certainly enough for a quick vacation or a load of weekly groceries. 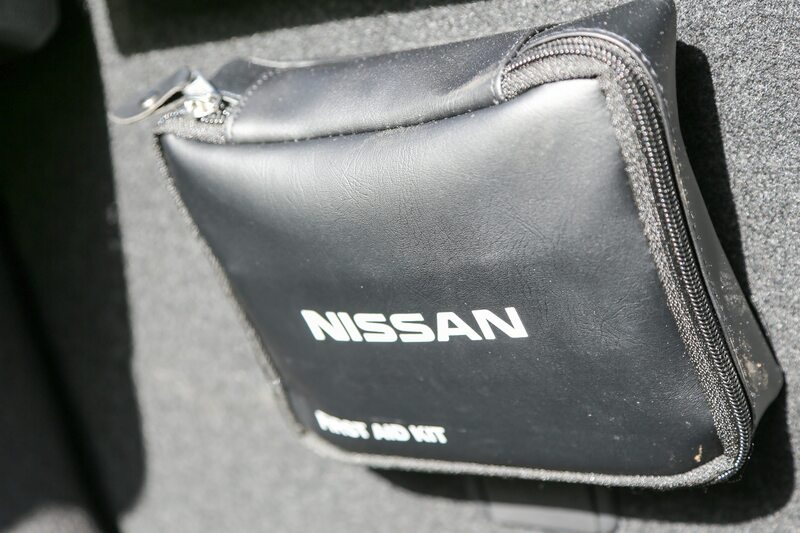 There are also handy “Divide-N-Hide” cargo compartments for stowing delicate goods you don’t want crushed. 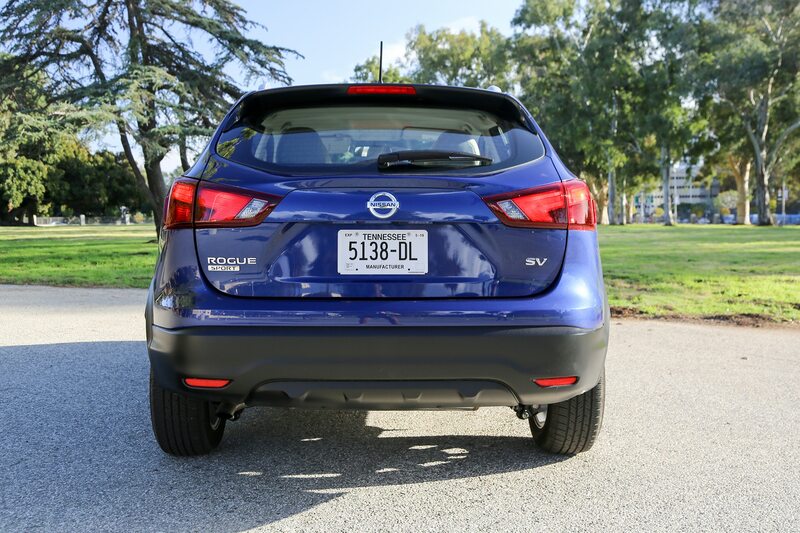 I can’t say that I appreciated the size difference of the Rogue Sport against its lineup mates without them present, but it is petite enough to tuck into tight parking spots while also being roomy enough to accommodate the routines of daily life. 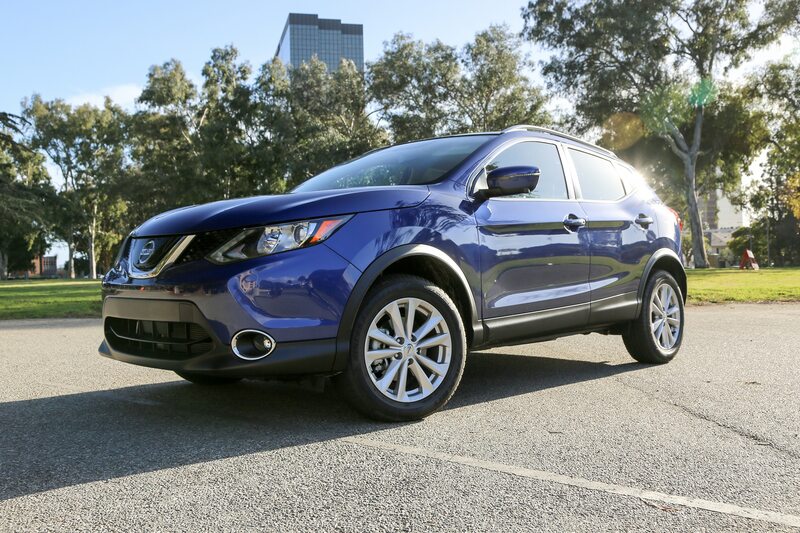 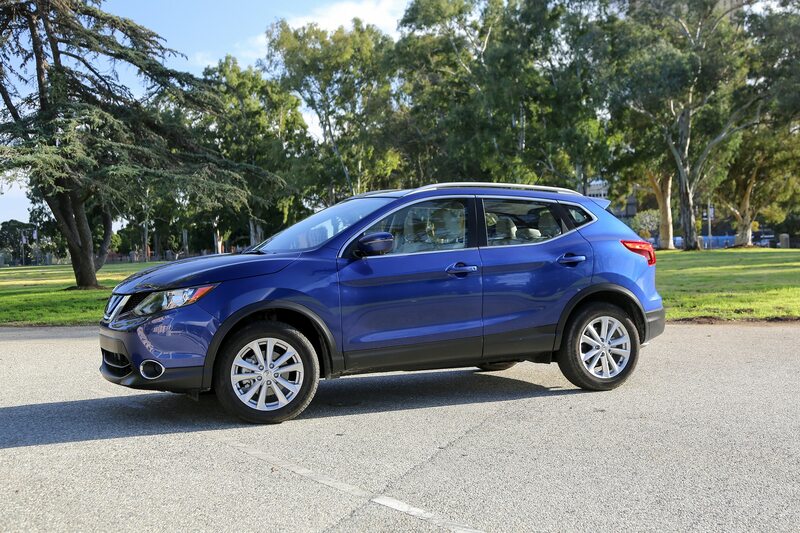 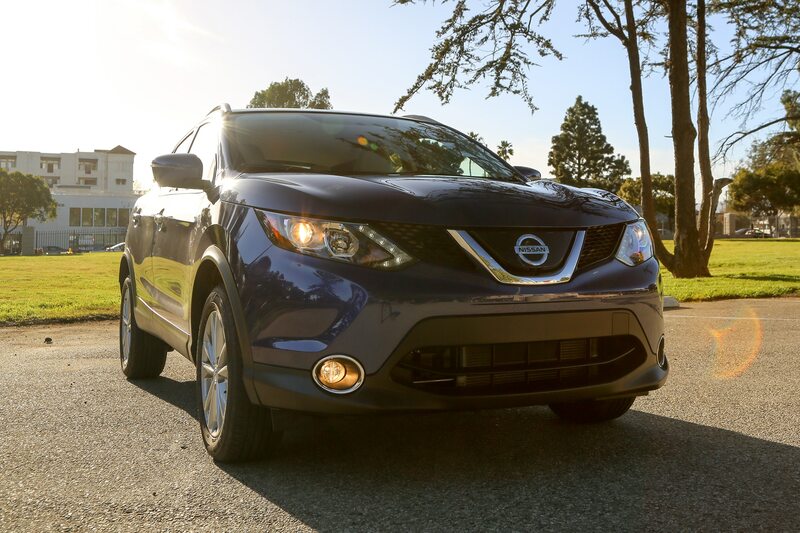 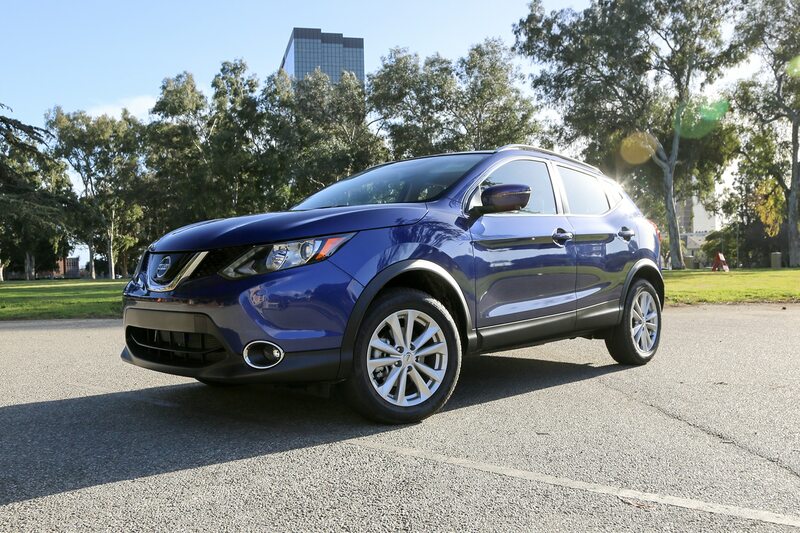 At an as-tested price of $27,480, the Nissan Rogue Sport SV is well-appointed and right-sized, even as it leaves plenty to be desired in the powertrain department. 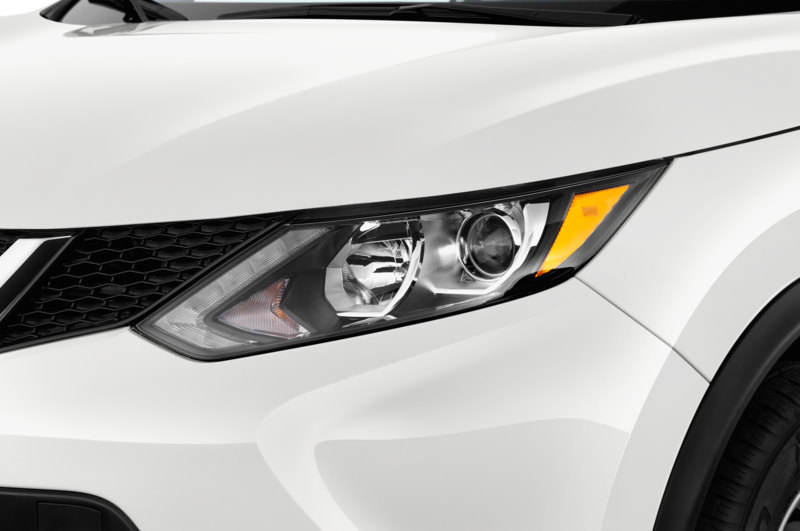 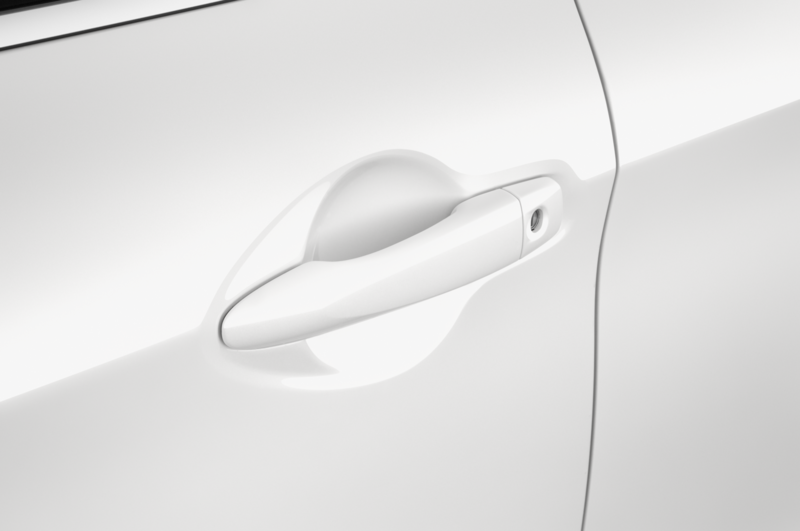 A lightly revised version is coming for 2020 model year with more equipment and updated looks. 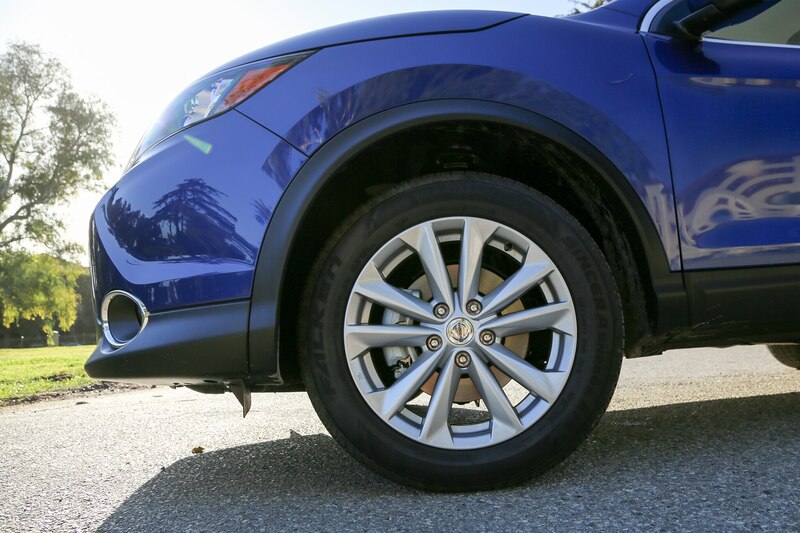 For those unconcerned with driving fun, it’s worth a look.